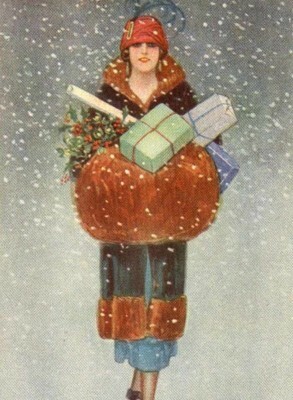 Almost everyone can scare up a thrill for Christmas – it means snappy, healthy weather, beautiful foxy furs, perfumes, violets, theatres and candlelight. There is something bewitching about the dark hours of winter and the Christmas atmosphere – and every woman plans her winter wardrobe for this delightfully colorful season. 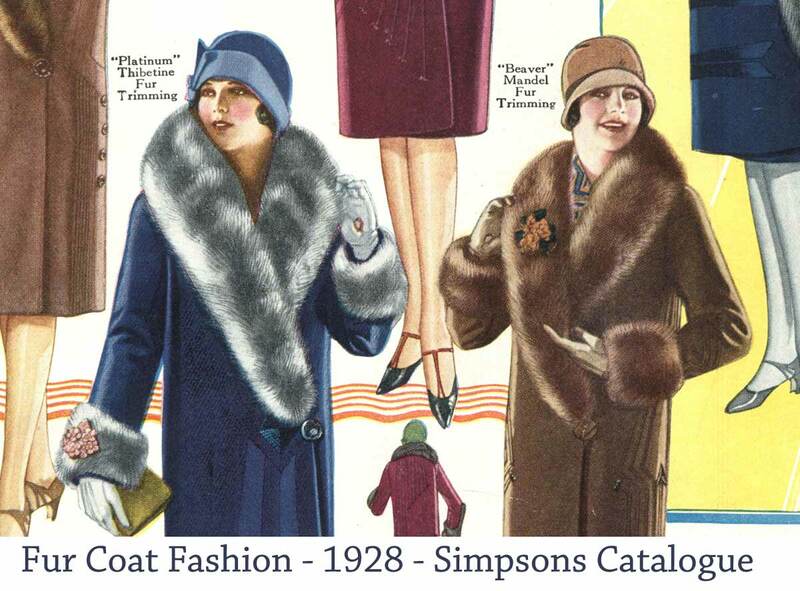 The movie stars have a pretty complete fashion salon in Hollywood – they get the Paris fashions as soon as New York does, but just the same, the girls can’t resist jumping on the California Ltd for a day of shopping in New York. 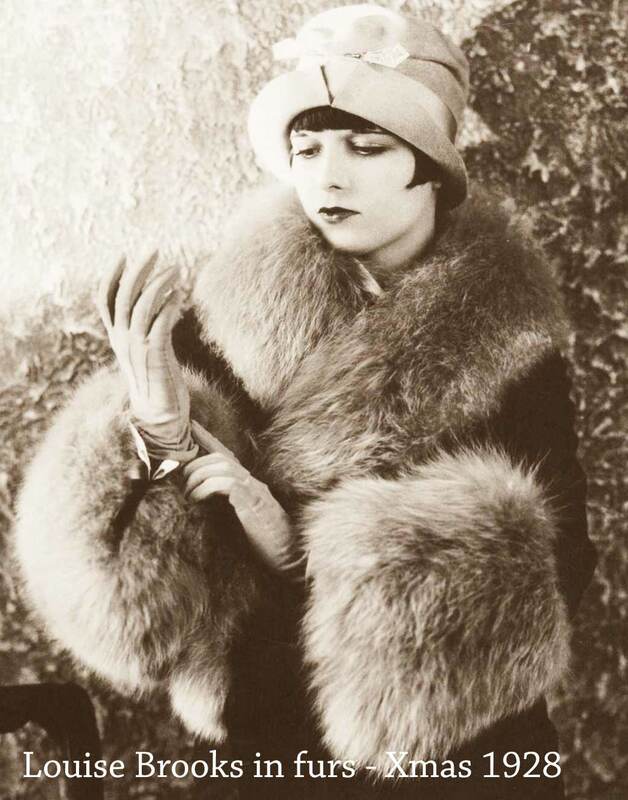 Louise Brooks spent the whole of last weekend flurrying about for the latest Paris furs in Manhattan . 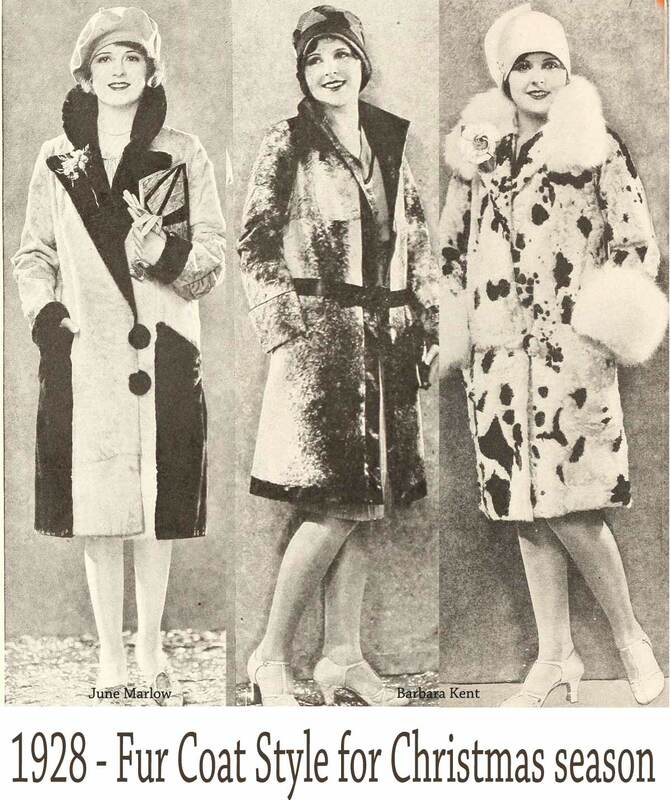 Estelle Taylor and June Marlow were there a week ago with a stream of hotel errand boys running after them laden down with pretty packages. The aforementioned Miss Brooks made everyone gasp recently, wearing a Jacqueminot rose chiffon velvet fur worn over a tight bodice and very full low hemmed skirt. No Christmas fashion season would be right without a corsage of beautiful starlets bending in their newest and most elegant fur coats.